What happened in 1876? Everyone knows that the United States celebrated the centennial of its independence that year. But for the average reader, 1876 falls into the gap between the Civil War and the start of the 20th century when nothing seemed to happen and the White House was filled with a series of presidents that no one can ever remember. Nevertheless, the political events of that year have special significance in 21st century America, as presidential elections have become increasingly belligerent, corrupted and imbalanced. 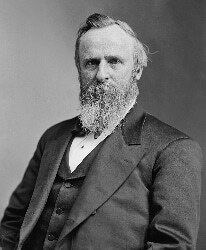 Traveling back to a similarly contentious time, Gore Vidal’s historical novel 1876 chronicles the disputed electoral battle between Democrat Samuel J. Tilden and Republican Rutherford B. Hayes. The echoes into the present day are actually quite disturbing. 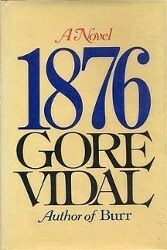 Part of Vidal’s Narratives of Empire, a heptalogy of historical novels written from 1967 to 2000, 1876 is both the third book written – published in 1976 – and the third book in chronological order, following both Burr and Lincoln. As he does throughout the series, the author anchors the story around a small number of fictional characters who interact with various notable historical individuals. He was a young man when he first appeared as the fictional narrator of Burr. But now Charles Schermerhorn Schuyler is an aging journalist, returning to New York City with his beautiful daughter after spending several decades writing in Paris. Having just witnessed the failed worker’s revolution of the Paris Commune, Schuyler is a bit of a notorious commodity upon his arrival. While abroad, he had managed to secure financial success as a writer and also had married into minor royalty. However, following the Panic of 1873, his finances are in ruins. 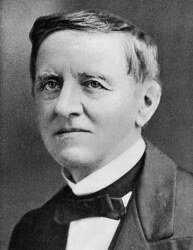 Bordering on desperate, Schuyler hopes to attach himself to the coattails of Samuel Tilden, the clear favorite in the upcoming presidential election. Using his connections and his international journalistic charm, Schuyler sees himself as the obvious choice for ambassador to France in the upcoming administration. The first half of the book details his efforts to quietly promote the Democratic nominee and establish some social and financial stability for both him and his daughter. Maybe it took a couple generations for the nation to mature, or maybe the Civil War created a particularly fertile soil, but it seems that during the last few decades of the 19th century, corruption had become the national pastime. Vidal lays most of the blame for this at the feet of President Ulysses S. Grant, a man whose tenure was notable for nothing but cronyism and profiteering. It was his abysmal failure as a chief executive and the numerous indictments of many of his closest associates that made Schuyler so certain that the Democrats were sure to win a presidential election after a twenty year dry spell. Hampered by the fact that nothing much happens, there’s no way that 1876 can compete with its companions Burr and Lincoln. Nonetheless, Vidal makes the best of it bringing forth memorable reckonings of such notable figures as Mark Twain, US Grant, James Garfield and Samuel Tilden. The author’s attention to detail and the affability and self-deprecating nature of his protagonist makes for a frequently entertaining read, even if it lags a bit at times. In the end, I can only recommend 1876 for Vidal completists, although there certainly are worse projects that one could choose to pursue. Regardless of the topic, I enjoy Vidal’s unique approach to history and political criticism and his inimitable talents shine through on every page. Moreover, due to recent events, the book has a new timeliness that the 21st century reader may find thought-provoking. Ceaselessly seeking out non-fiction writing on almost any topic, Dave can carry almost forty pounds of books in the pannier pack on his bicycle and knows all the librarians at his local public library by their first names. Sign Up for our Weekly Newsletter! No Spam Ever.